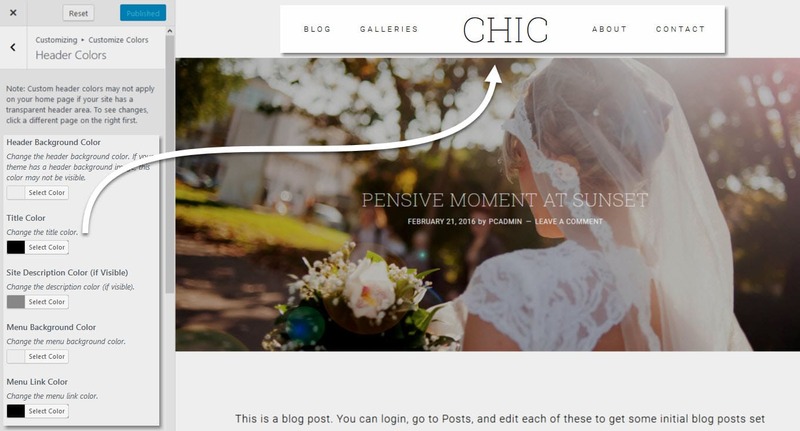 Your Imagely theme includes the option to change the color of some elements used within the theme. 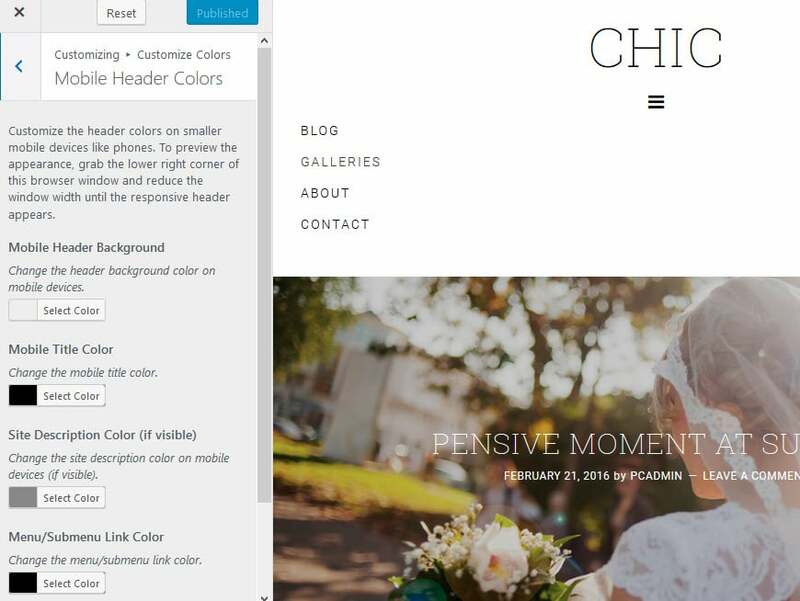 Header Colors: customize the background color of your site header, title text, background and text link colors for the menu and sub-menus. 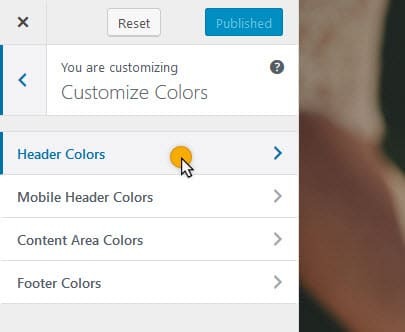 Mobile Header Colors: customize the mobile background color of your site header, title text, background and text link colors for the menu and sub-menus. 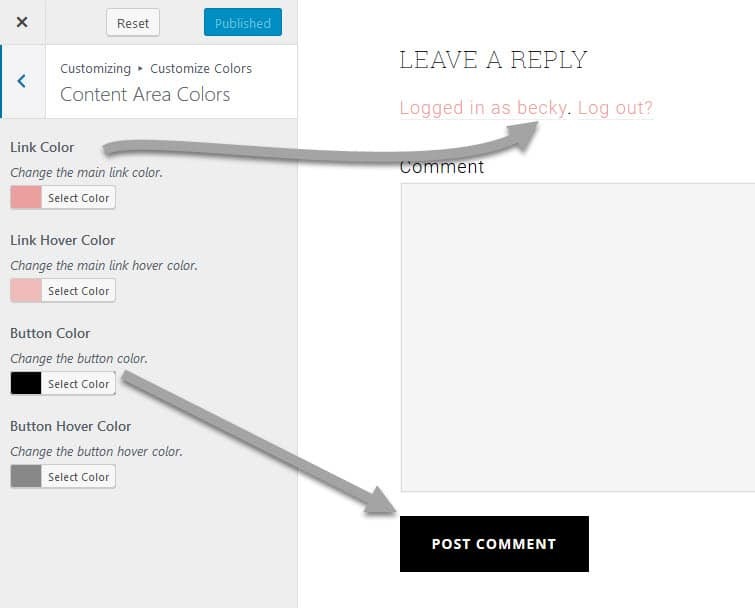 Content Area Colors: Set the content link colors and site-wide button colors. Footer Colors: Set the footer title, content text and link colors.